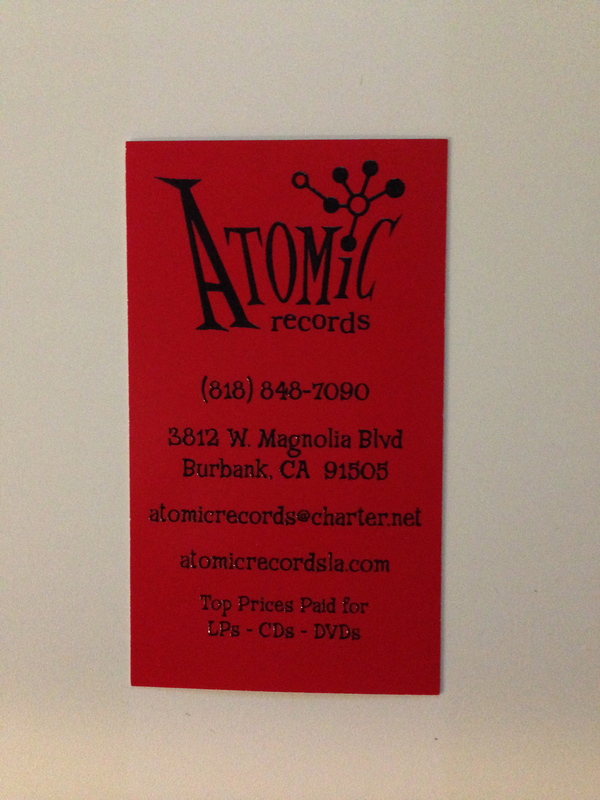 My husband and I were enjoying a lazy Sunday driving around North Hollywood and Burbank when we found Atomic Records; as music lovers we had to stop in to check them out. My better half is a producer and record collector so we spend a lot of time in Amoeba records; small independent record stores are rare gems…So rare that DJs don’t like to divulge their go-to vinyl sources. Fashionistas who shop vintage are the same way; there are some places that everyone knows about (Decades) and others that are quiet as kept. Atomic is one of those spots. The folks that run Atomic Records really care about vinyl and the customers who shop here show their respect. You won’t see listening stations or DJ’s with portable turntables here. The place is clean and well-organized; a rarity for record stores. I love record shopping for album art, inspiration for accessories (the styling on album covers was amazing back in the day) and graphic design ideas. Album covers are truly a lost art. 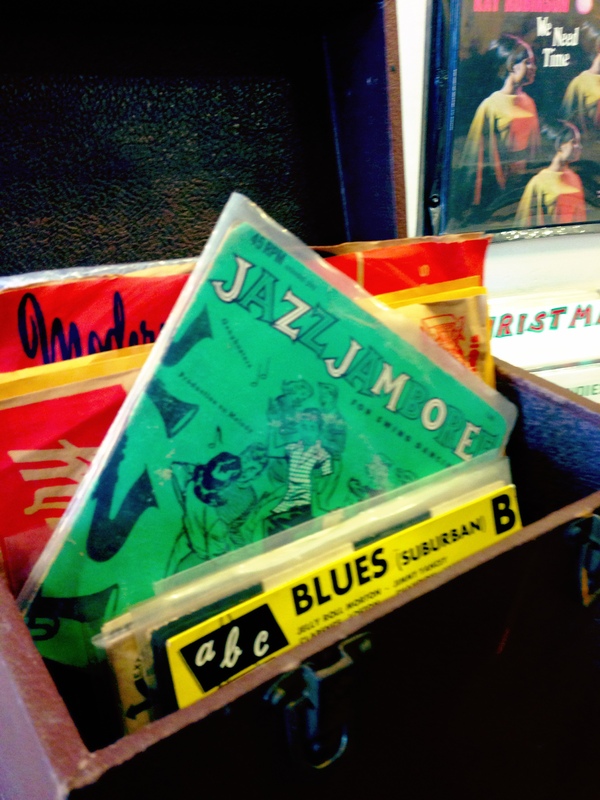 While Atomic has their collection well organized, they take in so much stuff that there are boxes and boxes of albums, 45s, 33 1/3s and 78s that haven’t been shelved or even priced. Among countless boxes of Sony mastered recording reels I found a small brown box with a weathered leather handle and I had to sneak a peek inside. 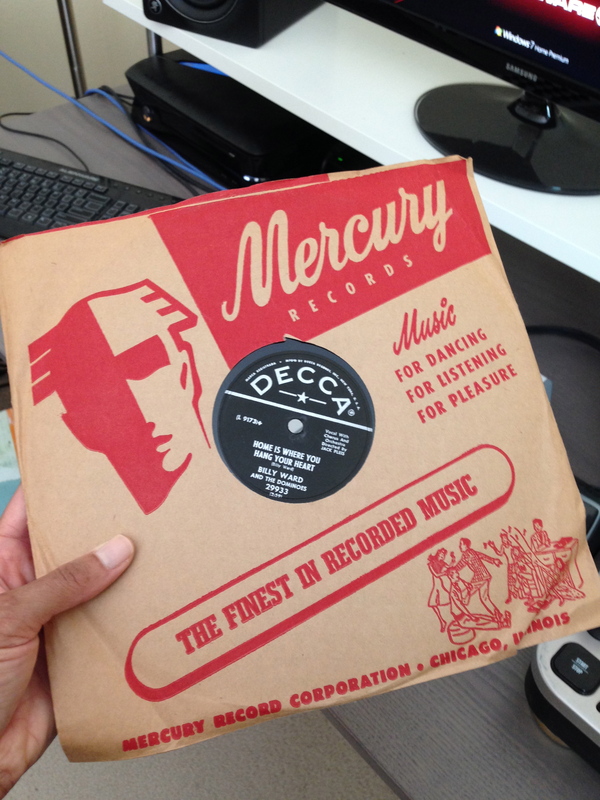 I opened the old box to find a treasure trove of 45s and album sleeves with jazz, blues and completely random genres. My husband flipped out. It’s a crate digger’s dream. We ended up talking to one of the owners about the joys and pains of running a record store and honestly this is why I love places like this. I learned a lot about collecting, selling and the stories behind some of the collections and the people who come in to unload their stuff. It reminded me of our trip to London a few years ago where the coolest people we met were behind the counters of record stores. Bargain hunting diggers may not appreciate this place (although they did have a section of $.50 45s) and DJs looking for “new” vinyl may be disappointed, but so be it. True musicphiles and collectors like to keep this place to themselves, but it’s so good I had to share. Inspired by today’s discoveries, here’s a track produced from this afternoon’s digging, a freaky 1940’s “New Age Thriller” to get you in the mood for Halloween. Thanks RenRok! This clip on crate digging is from Scratch, one of my favorite hip hop documentaries filmed in 2002. DJ Shadow at 3:50 describes it perfectly.